Albertville > Bourg Saint Maurice > Tignes. Long-stay parking is not permitted outside the hotel, but short-stay parking is allowed for your installation. You must then move your car to the Lac covered car parks. Please reserve a place. 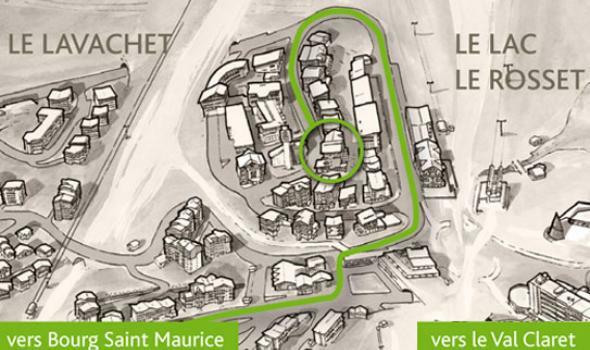 You can come to the station of Bourg Saint Maurice. Then , bus or taxi to Tignes . The nearest airport is Genève Cointrin. You also have Grenoble airport. The connection is then made by bus , taxi or train.